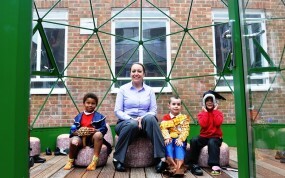 Our geodesic domes are used in a huge variety of innovative ways at primary school level. At this age children learn best through experiences and interactive sessions. Using an interesting primary school classroom can help to increase participation and engagement with the subjects being taught. It is also a great way to make learning fun and encourage children to get into science at a young age. We have two dome ranges for you to choose from. Our standard Solardome® growing schools range of outdoor classrooms 3.6m – 10.1m diameter, and our SOLARDOME® PRO architectural system, for fully habitable dome buildings or freestanding classrooms from 7.2m – 25m. 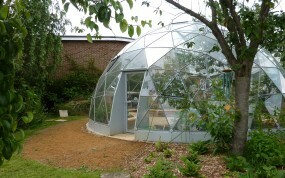 Our glass geodesic dome outdoor classrooms provide a wonderful, safe, fun and practical educational facility. The dome encourages children to experience outdoor learning and to enable them to achieve new developmental skills. 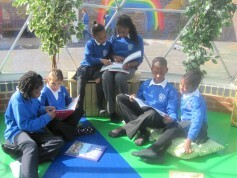 The domes provide pupils with the ability to be outside yet inside and protected from the elements. A school garden dome is an ideal starting point to get children passionate about gardening and eco-friendly school projects. The dome can make an idea eco-dome, rainforest dome or biome. 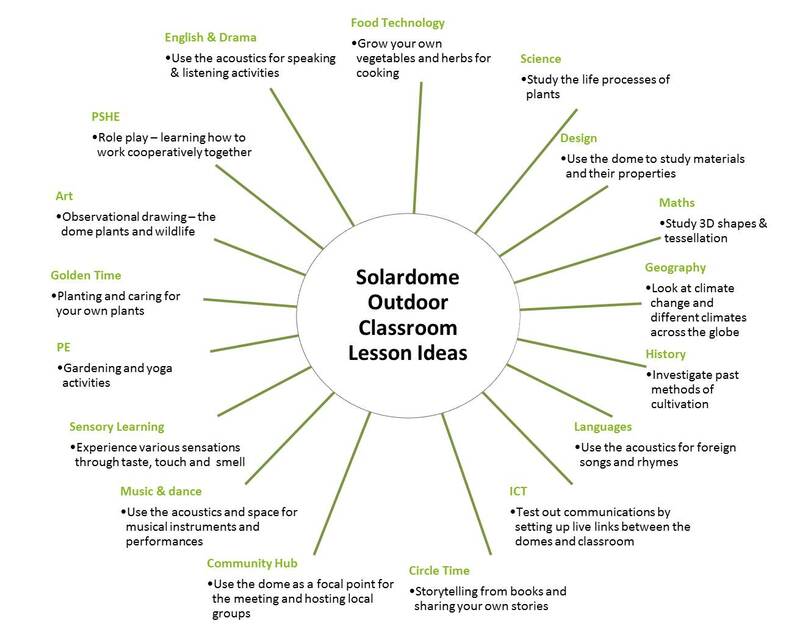 The benefit of the dome is that it goes further than a traditional greenhouse because it excites pupils and takes gardening to another level. 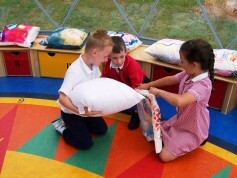 The Solardome® geodesic shape is an inspirational subject for art lessons which can be drawn or painted by the pupils. 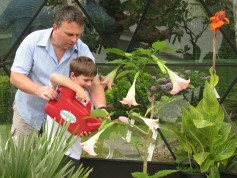 Children’s art can also be inspired by the natural surroundings in which the glasshouse is placed. The domes can also make an ideal gallery for pupils’ artwork. A dome makes a tranquil reading room, away from the distractions of the main school building. Perhaps you could create a haven for quiet reading sessions, designed to inspire a love of books and develop literacy? Designing a special dome reading room can encourage group participation, improve attention spans and create lasting memories. Or you may prefer something more lively, such as an outdoor studio for drama and story re-enactment where imaginations really come alive and communication and social skills thrive. The dome makes an ideal hands-on learning environment for studying basic mathematics. Whether this involves learning about the geometry of a geodesic dome (which is made up of triangles, hexagons and pentagons), or studying the mathematics found in nature and the plants in the dome. 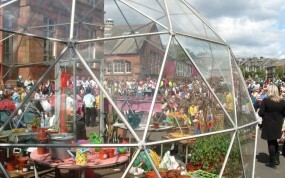 Some schools have even designed their own model geodesic domes or biomes and recreated them using different materials. The dome can be used for all kinds of science classes and experiments, enabling practical and theoretical lessons to be combined. Inspiring pupils to get practically involved in creating their own mini Garden of Eden school garden filled with exotic plants is an ideal way to teach about growing and the environment. The dome is also the perfect place to get pupils talking about and interested in recycling. Composting is recycling – the nutrients in organic waste are processed and returned to the soil to help more plants to grow. The school was keen to develop a multi-purpose space which could be used to enhance ‘learning outside the classroom’ and somewhere where they could grow their own flowers and vegetables. Having an inspiring space like this in which to carry out experiments and do practical research is only going to engage students even more and no doubt it will inspire staff, too. I know I'm very much looking forward to coming back to Watford Grammar and doing some experiments with the students in this new science dome.